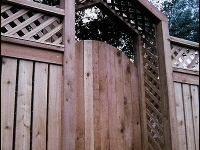 As with all our gallery pages, these pictures represent a small sample of available styles. 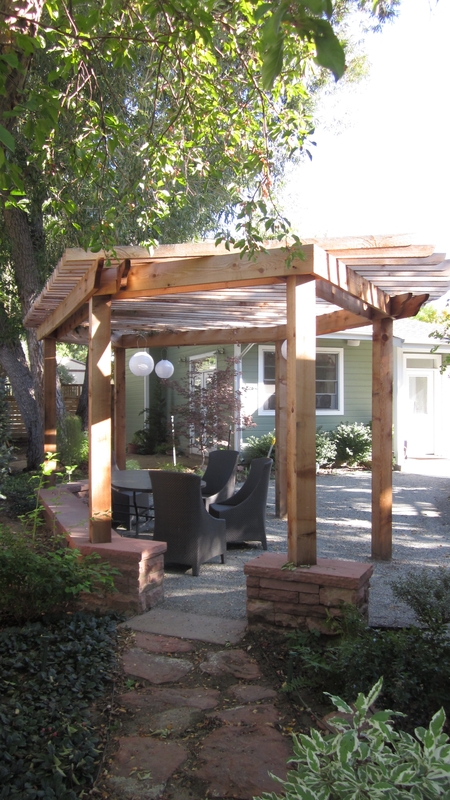 Brian will work with you to design and create the perfect style for your project. 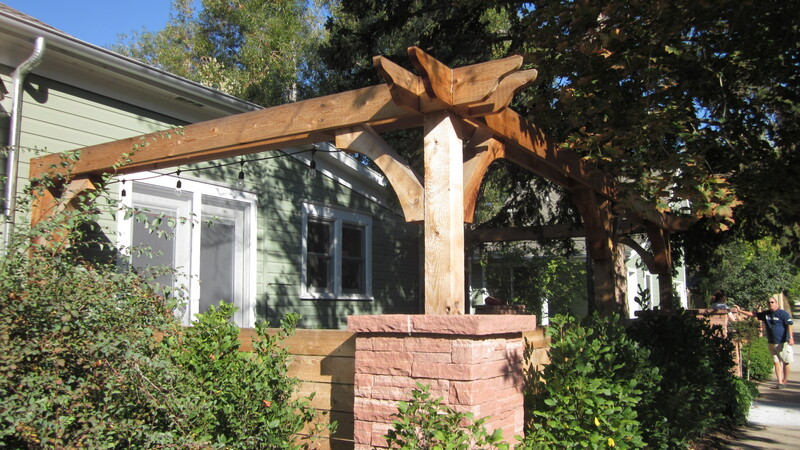 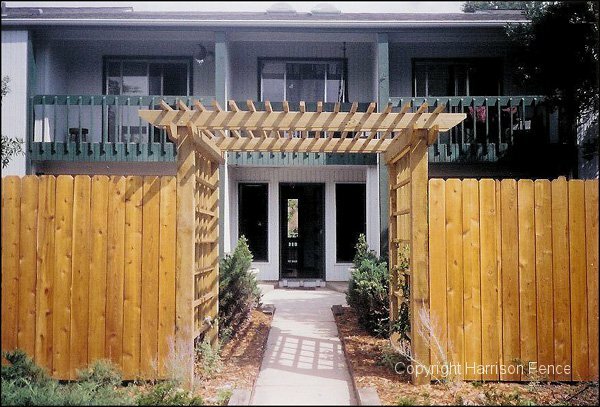 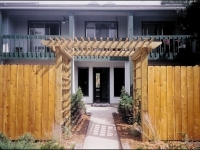 This residential application of the arbor includes an arched gate in the style of the fence. 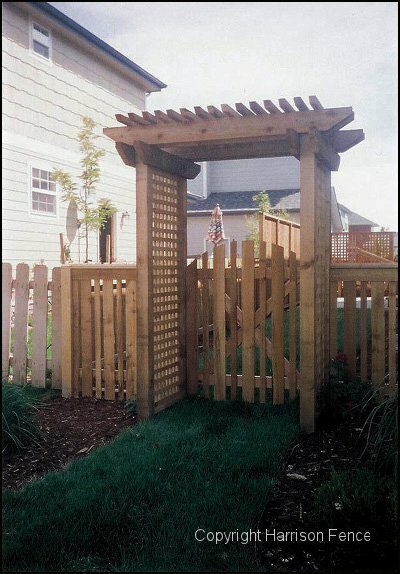 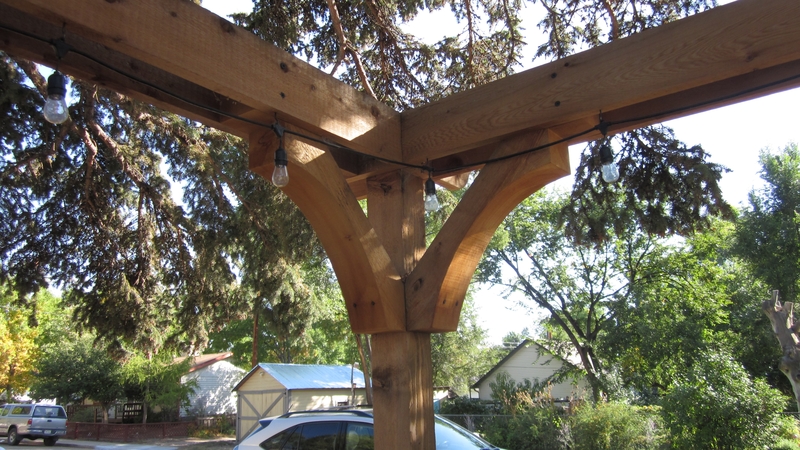 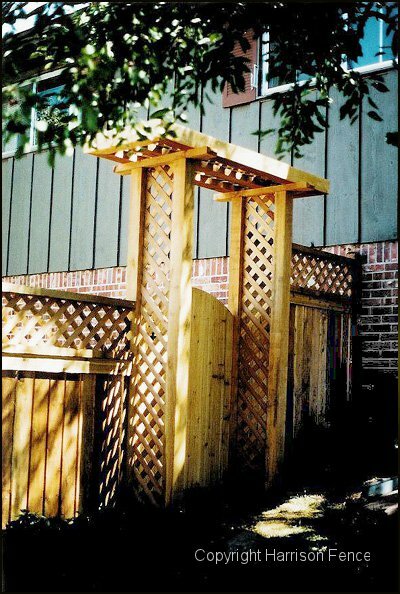 This simple arbor was installed between the fence segments instead of a gate for an open, inviting feel. 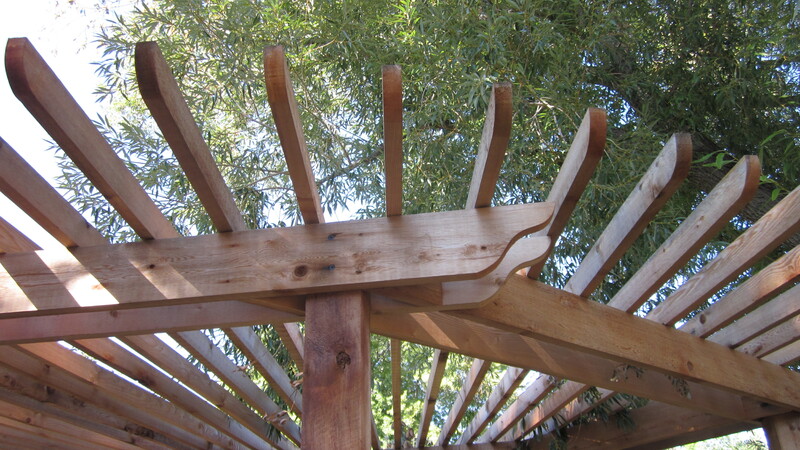 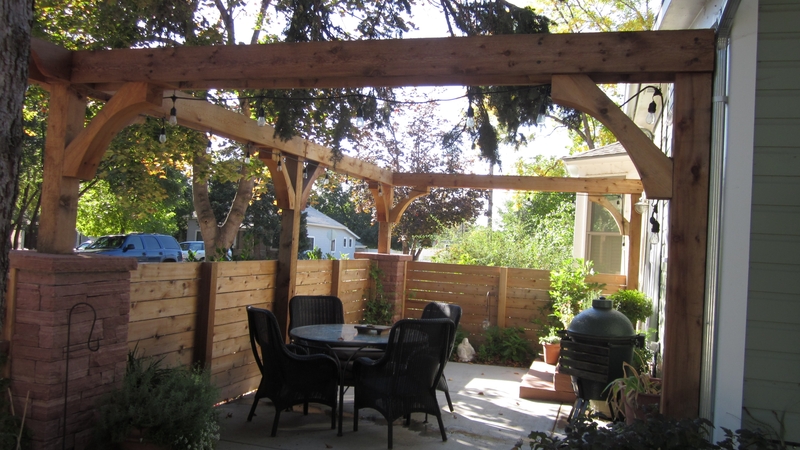 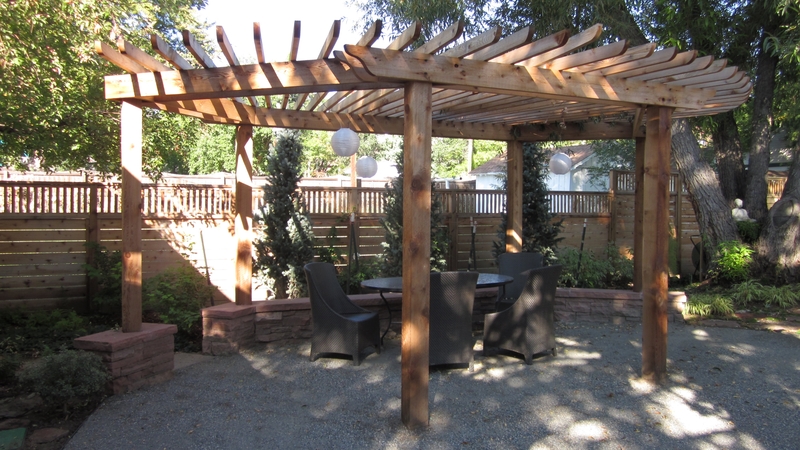 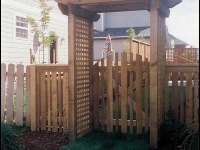 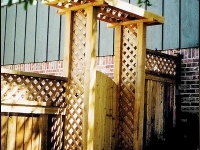 The arbor pictured here uses lattice to match the Lattice Top style fence. 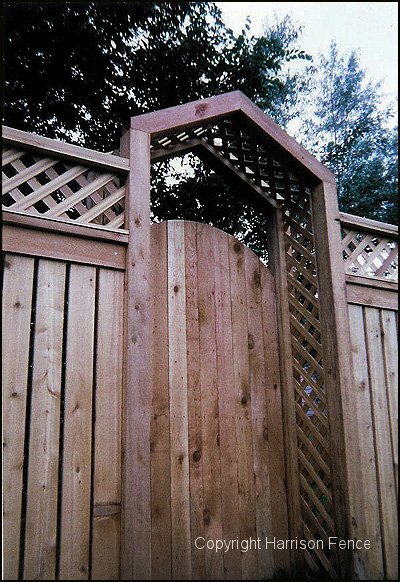 This arbor matches the style of the fence.